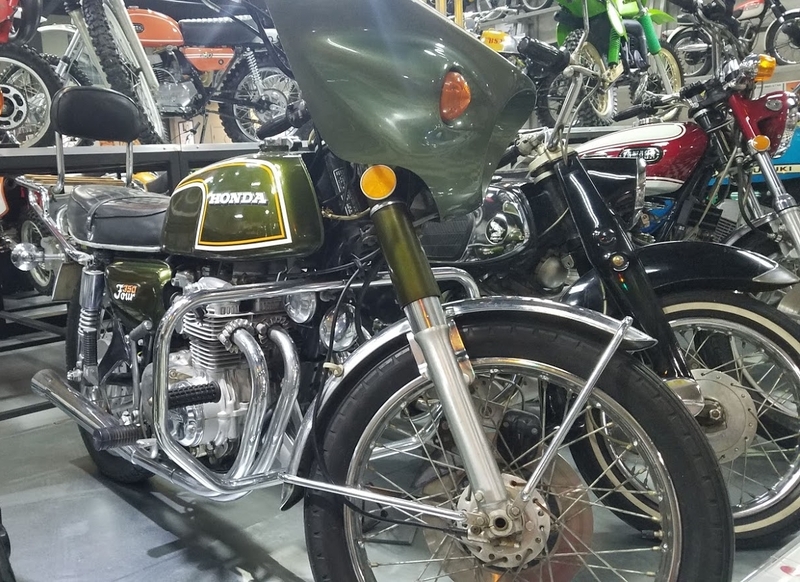 I am looking for a luggage rack for my 68-69 CL350. I ran across an ebay listing and on the side of the part it says Triple A Honda CB 350 F. Seller says its from a 72 CB 350. The two cylinder and four cylinder 350s did overlap. Would this item fit my bike? Almost certainly not, unfortunately. The 350F has a grab rail that goes around the back of the seat, and that's what a 350F rack would mount to. 350 twin doesn't have one. You might be able to make it work, but it won't bolt on. There really was not a lot of overlap in terms of parts for the 350F and the 350 twins -- very different bikes. Well darn. Thanks for the information. Since you are familiar with the 350F, I have to ask. My brother had one about the time I was in junior high. He worked a midnight shift and so during the day, I would "borrow" his bike while he slept. But my recollections of the 350F were that it was pretty anemic performance wise. I remember one day when he had caught on to what I was doing telling him that his bike was not very fast as I could not get it over 90. Was the 350F pretty limited from a performance perspective? ancientdad and Number13 like this. In the interest of full disclosure -- the 350F is my favorite bike. The one I have now I have had since 1997, and I've had probably close to 10 pass through my hands since. They are rated a little slower than the twins, but as 66Sprint says just by a little. They do rev amazingly smooth when they are dialed in. And the trick is to keep the revs up, 5500/6000 and up is the sweet spot, and they will do well ripping around 8k. I could cruise pretty well at 80 and under 9k revs, but it would go a little faster if I wanted/needed. The bottom end was pretty slow -- I wind it up out of first and keep the revs up. They were a little heavier than the twin, but IMHO still light enough to throw around corners. My 350F has 400F exhaust and pegs/linkage with clubmans, which puts the feet back a little and keeps me low (it's a run-around-town bike, not a go-long-distances bike), and it's really fun. The 400F as Ancient notes was a response to complaints about performance -- an extra gear and 50ccs -- and they are great too (maybe my second favorite, I just think the 350F styling and paint is better). And... you can drop a 400F engine into a 350F frame with little modification. I've owned twins and fours, and the smooth ride of the fours gets better the older I get. The 350F was reportedly Soichiro Honda's favorite bike as well. you might appreciate the attached image of a 350F I ran across in a museum in Burnett, Texas. I see 350Fs popup from time-to-time on Craigslist. barn found Honda... he says "make an offer"
Who Says You Can't Tour on a Honda Twin? Will 1980 Yamaha XJ550 parts fit our Hondas?